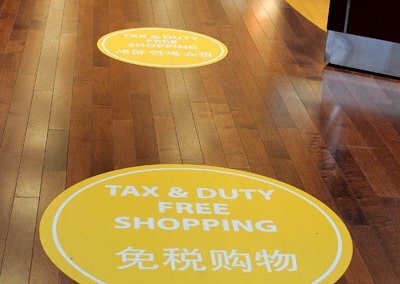 At Sequoia Signs & Graphics, we can create amazing custom floor graphics, as well as all other kinds of signs for businesses. If you need floor graphics, or any other type of sign, give us a call. We are a full-service custom sign and graphic design company located on the Pleasant Hill – Walnut Creek border, and we serve the entire East Bay area. If you have any questions, we would be more than happy to sit down with you and take a look at all of your options together. 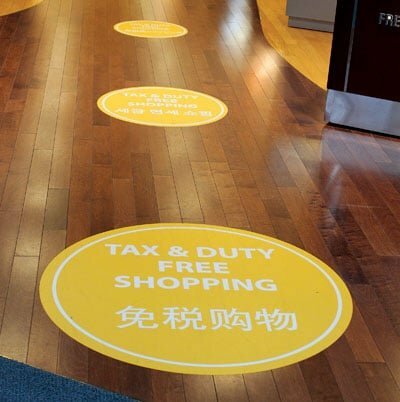 Floor graphics can be a great way to market a business or particular product or service, or even an event or seasonal sale. Perhaps you own a high-end automotive dealership and want to use your floorspace to highlight your best products. Or maybe you would like some really cool graphics for the floor of your custom garage at home? We can make these wishes come true. 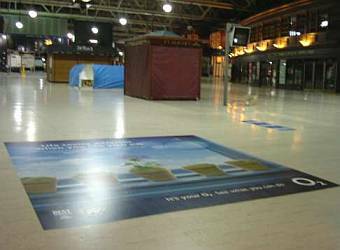 Floor graphics are an often over-looked opportunity to advertise to your customers. 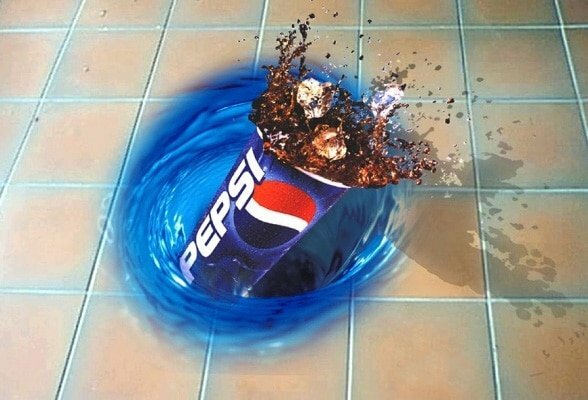 We can create any kind of custom floor graphics that you may want, using images that you already have, or artwork that we create. Our design team can sit down with you and go over your ideas, as well as offer some of our own, so we end up creating the best floor graphics possible for you. Have any other questions about floor graphics? Call us today or fill out the form to the right and we will contact you as soon as possible.